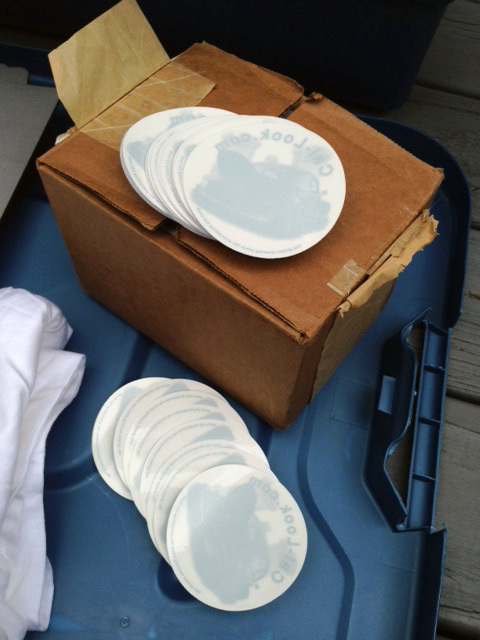 Well, look what we found. 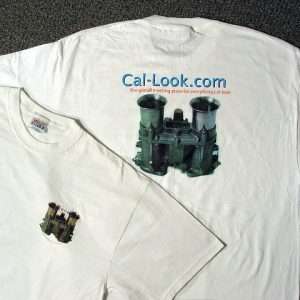 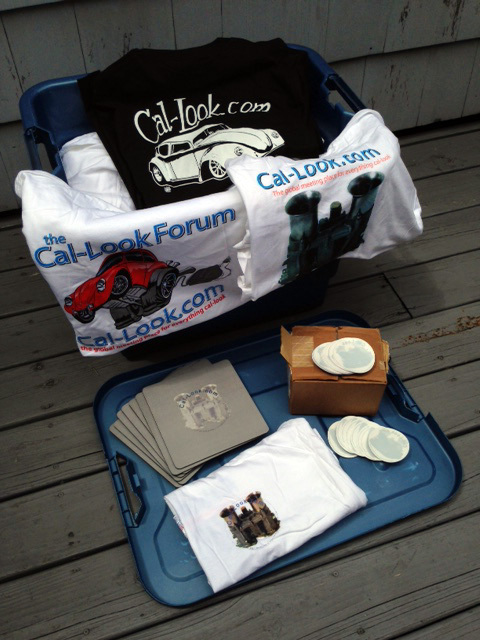 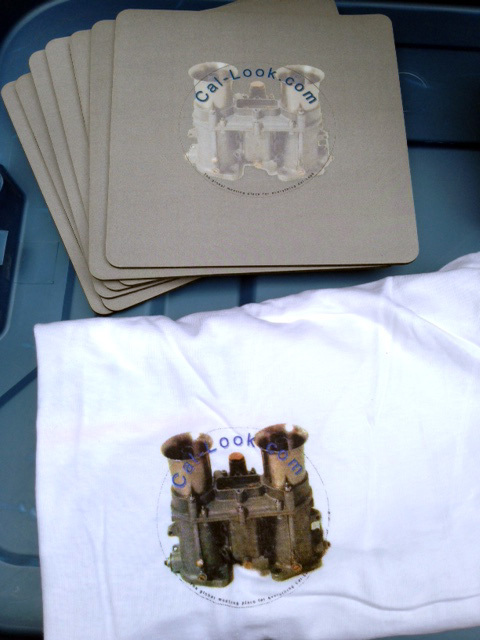 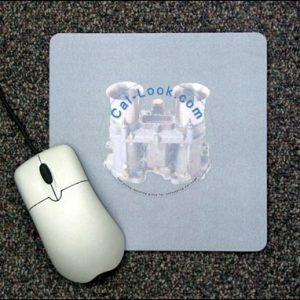 For all of you who have been asking us for years to search our facilities for any leftover or lost Cal-Look.com merchandise, your day has come. 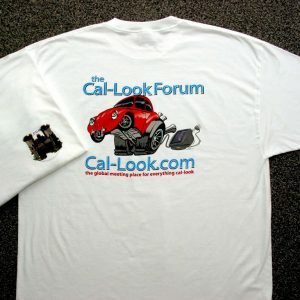 In what we are calling a ‘barn-find’, we’ve discovered a case of fresh NOS IDA, Forum and Gasser TShirts, a box of Window Decals, Mousepads, and Joe Vitone Visors. 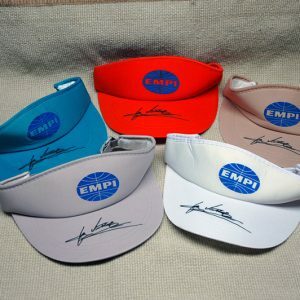 Be sure to grab them while they last, limited sizes and availability! 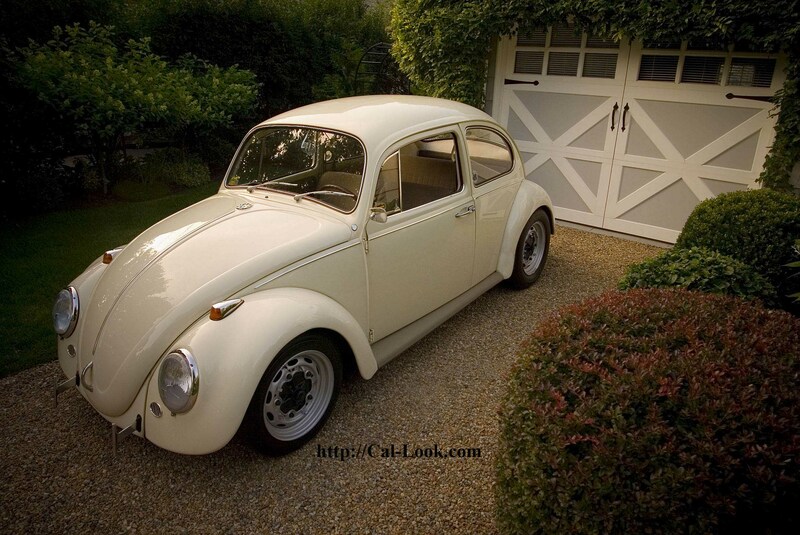 Made of very high-quality chromed steel, with checkered flag motifs engraved in the lower corners. 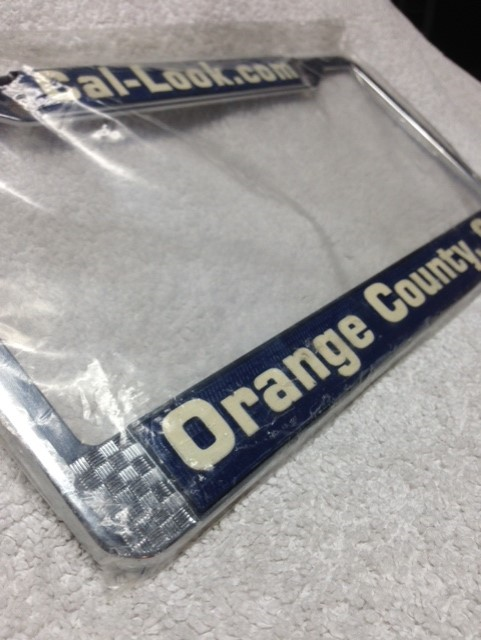 Navy blue background paint with raised, white letters. 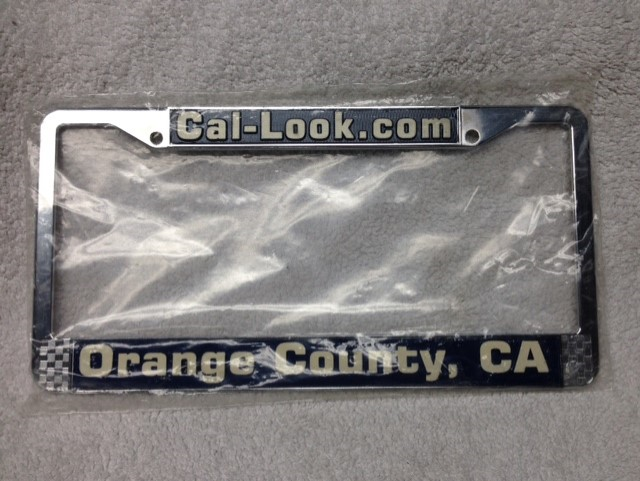 Representing the birthplace of the original California Look, Orange Country, California. 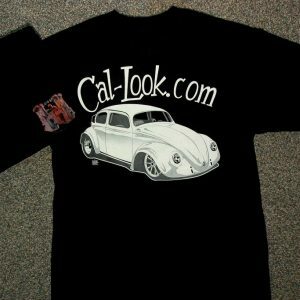 To give everyone a shot at it, we listed it on eBay. 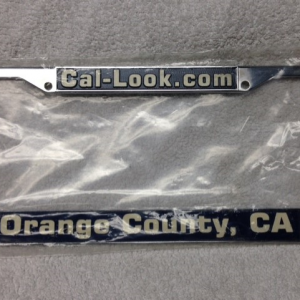 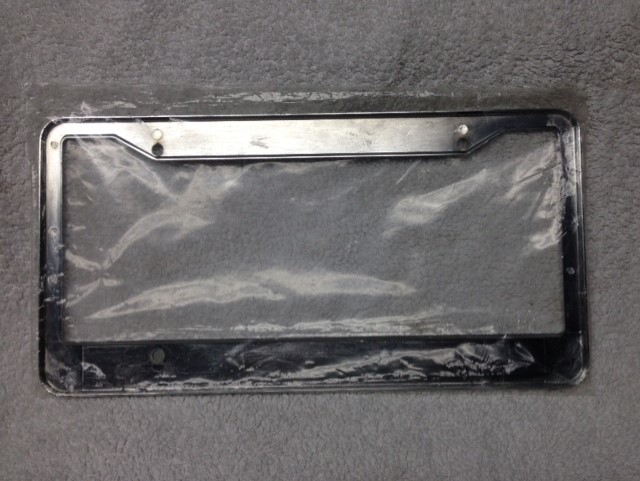 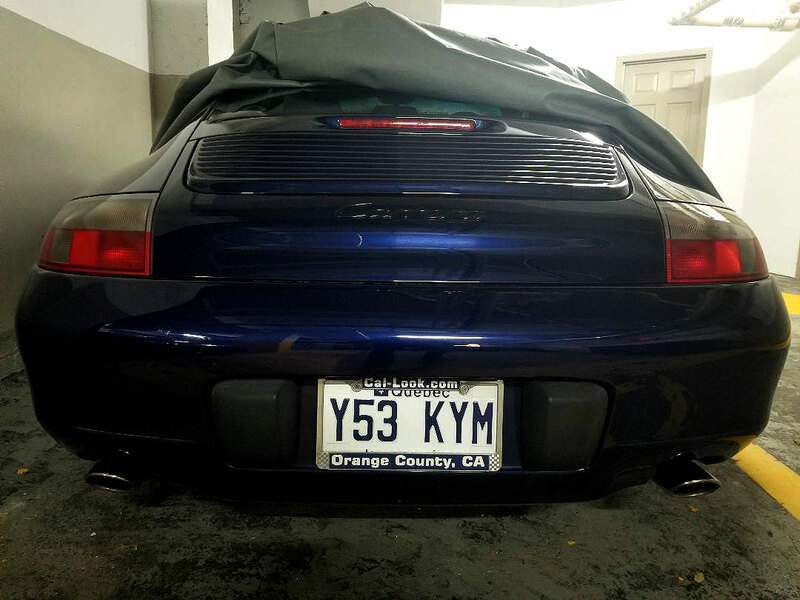 So if you would like to have the very last, NOS, new-in-package, Cal-Look.com license plate frame, like the one on the car in the picture below, visit the auction ..
Buy an XL or XXL IDA TShirt, or a Decal Pack, and we’ll discount any extras you add to your cart. 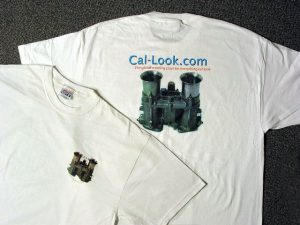 Add some for your Cal-Look friends!